It’s that wonderful time of year again when Disney goes all out decorating every square inch of the resort for the holidays. We aren’t just talking about the Osborne Family Spectacle of Dancing Lights and Frozen transformed Cinderella Castle friends, every resort hotel is also included in the festivities. 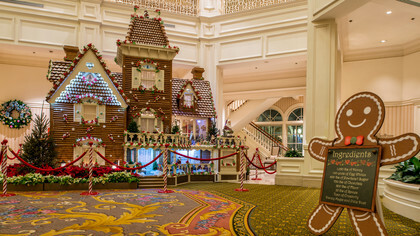 If you are visiting during the holidays this year and plan to do some resort hopping, here are a few of the Gingerbread decoration highlights you won’t want to miss! Train fanatics will love this one! 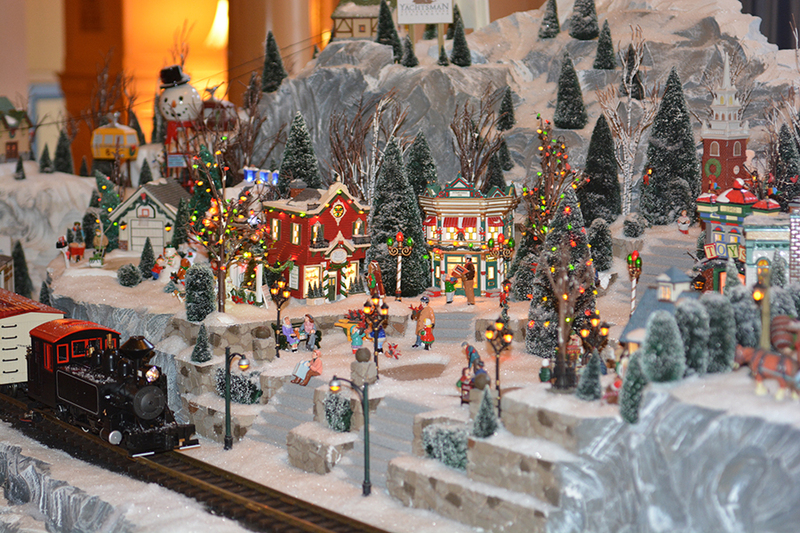 Watch a miniature vintage train chug through a meticulously detailed candy-coated holiday village nestled against a sugar rock candy mountain range from now through January 3, 2016. Returning this year is the incredible Gingerbread Carousel. This masterpiece is made with 36 pounds of honey, 96 pounds of flour, 10 pounds of spices, 100 pounds of icing, and 50 pounds of dark chocolate. Available for purchase nearby are mini gingerbread houses, gingerbread cupcakes and shingles, sugar cookies, and gingerbread kits to make your own house. 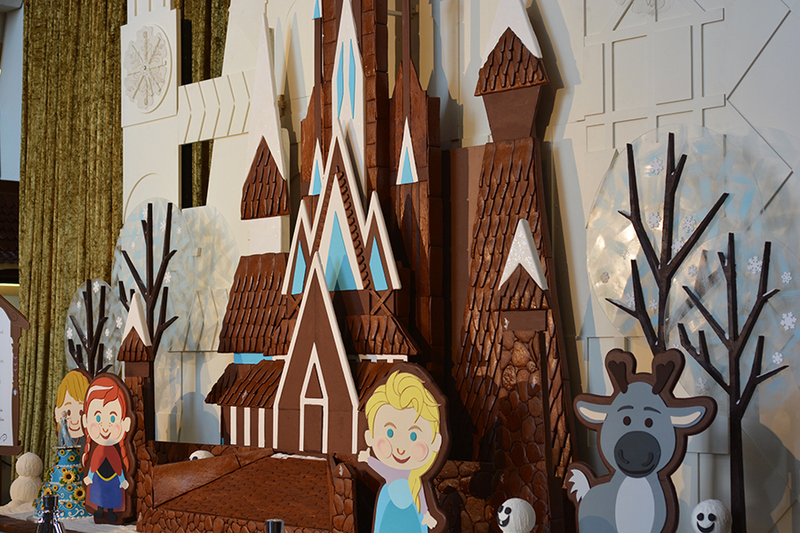 Returning for its second year, the 17-foot-tall Gingerbread Ice Castle complete with Frozen characters is on display now through January 6, 2016. The Ice Castle is adorned with sugar snowflakes and is made with 423 pounds of chocolate, 514 pounds of flour, 212 eggs, 35 pounds of sugar syrup, 311 pounds of honey, 222 pounds of icing, and 1,500 gingerbread shingles. Be sure to look for the 15 Hidden Olafs in the display and purchase a build-your-own snowman marshmallow kit, snowflake cookie, or other treat to take home. 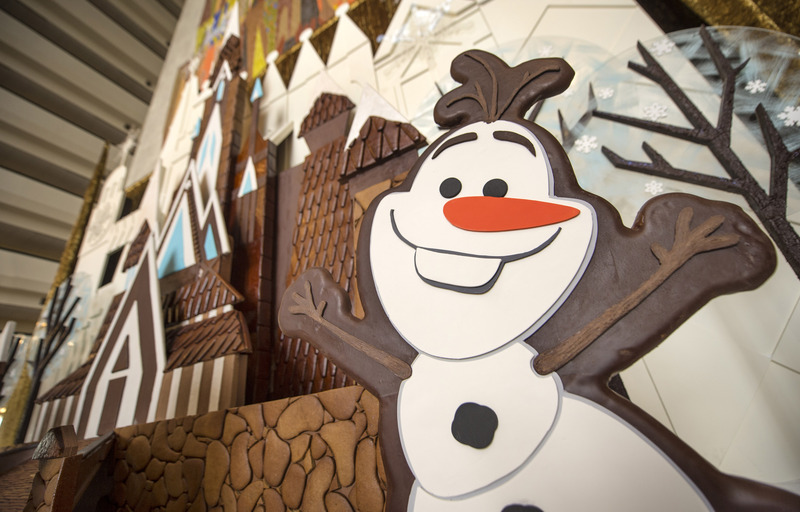 New this year, step inside Ginger’s Bread & Cookie Shoppe from now through January 4, 2016. The sweet shoppe is made with over 800 gingerbread shingles, 63 pounds of honey, and over 350 pounds of gingerbread. Be sure to look for the over 100 Mickeys included in the display and pick up some gingerbread sweets, peppermint bark, sugar cookies or candy cane gelato to enjoy. Also available are take home gingerbread kits. Returning for a 17th year, visit the life-size Gingerbread House now through January 1, 2016. This holiday classic is made with 1,050 pounds of honey, 700 pounds of chocolate, and takes the team more than 400 hours to bake the fresh gingerbread used in the construction. Bonus – You can watch free gingerbread house decorating demos every day except Sundays in front of the house! Check out Helpful Information For Your December 2015 Disney World Vacation!